paid – by this we mean the direct sale through Appstore and Google Play. The issues must have a product ID assigned, that must in addition be approved by Apple. Google does not require approval. In this variant the issue can be made available to the readers using external payment gateway or vouchers. Or in archive. locked – this variant requires assigning product ID as well, however in this case no approval from Apple is needed. Therefore, direct sale using the button Buy in the reader application is not possible, the option to sell (or in any other way make accessible) the issues using external payment gateway or using coupons/vouchers is available. Or using archive. hidden – same properties as locked issue. In addition, the issue is not visible in the issue overview until the reader obtains the option to access it by coupon or external payment gateway. Or by archive. You can set these modes of availability in the dialog box with issue properties – you can access this dialog box by clicking on the icon [i] in the issue overview. Visible only to logged-in readers (in the Readers zone – see next paragraph). This can be used typically for internal commercial materials or internal corporate magazine protected by password. • Visible only to the readers, that are not logged-in. You can find all variants of visibility in the issue properties as well. In connection to the option to set visibility of digital content only to logged-in readers you can choose, if the readers can sign-up on their own (then the content is available basically to anyone, who registers in the reader application or on website, plus you do know his e-mail) or if the signs-up are solely yours as a publisher to decide and nobody from outside is able to gain access inside without you. 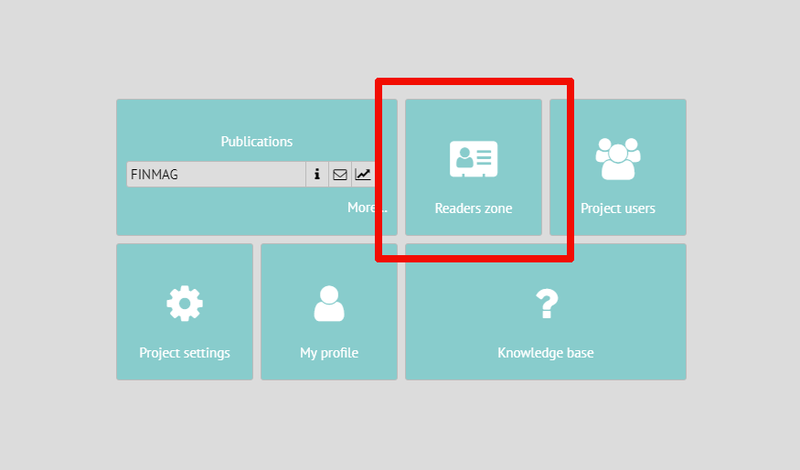 You can alter this option in the settings of Readers zone. The primary screen (see next picture) is accessed by clicking on the house button that you can find under the Triobo logo. After clicking on Readers zone, you can see its options. In the dialog box for Settings you can choose, whether the readers can register themselves or not. 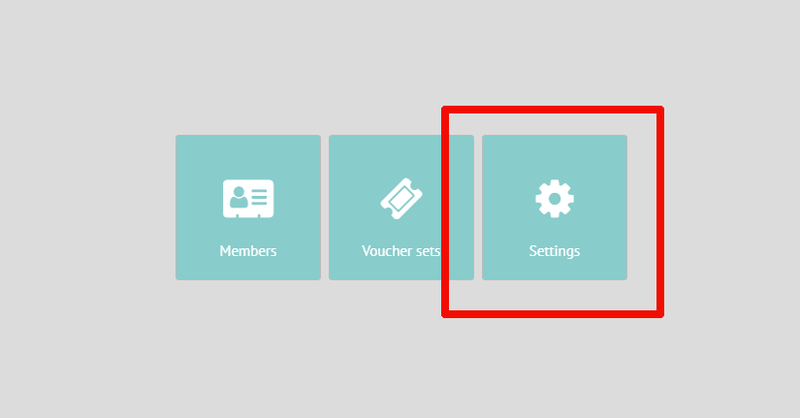 If the readers can not register themselves, you must register individual users yourself in the menu of Readers zone (see preceding picture, option Members). 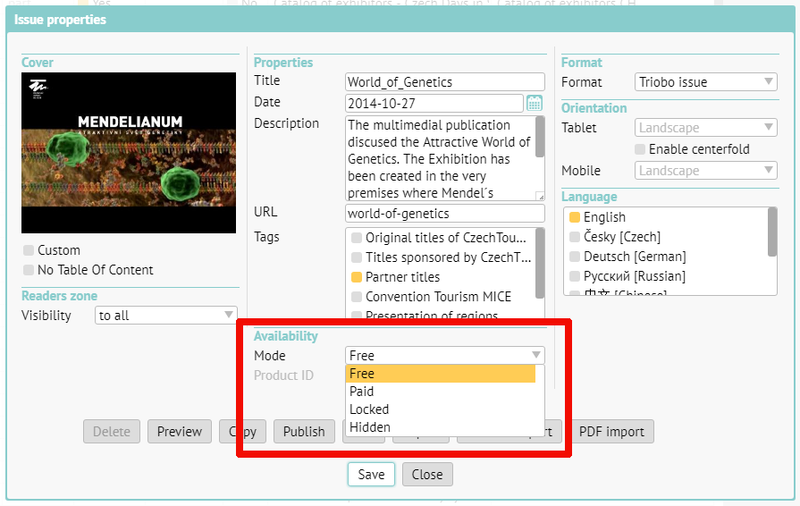 Digital magazine, small amount of published issues – choose the subscription type (with archive or without). For individual issues approve product IDs by Apple, so that you can also sell individual issues. Issues will have the availability set to “paid”, visibility will be set to “for all”. Digital magazine with extensive archive – approving product IDs of every single issue is very time consuming (in sum total), that is why you can decide, that issues older than the year 2017 will be configured with availability set to “locked”, and only issues from January 2017 onwards will be set to “paid”. Thus – new issues will be available for purchase separately directly in the reader application, older issues will be available only as a part of archive or for purchase through your website or coupons/vouchers. 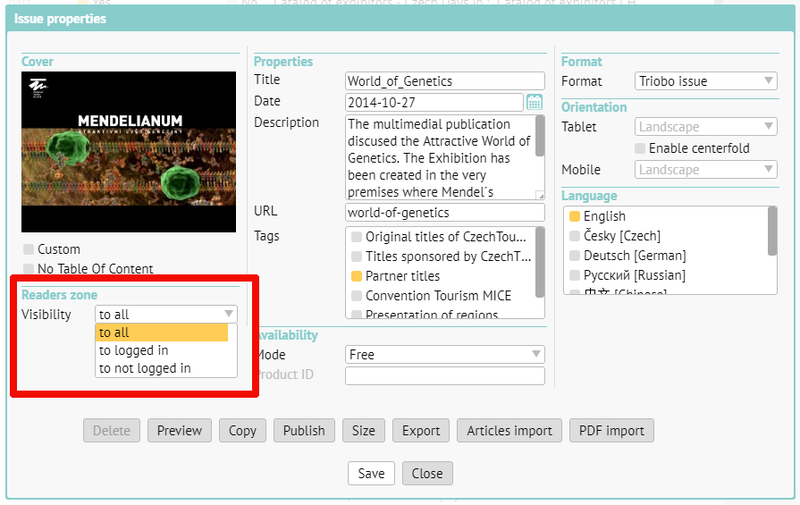 Application combining publications for end users with internal corporate documents – you will configure public publications with availability set to “free” and visibility set to “for all”. With internal publications you have several options – ideally you want to configure them with availability set to “free” and visibility set to “visible only to logged-in” (do not forget to disable registration into Readers zone and register your employees in the editor). All settings can be combined as you please.